This beautiful Home is located on a corner site with your own private driveway. Enjoy 3 bedrooms 2 full bathrooms with a garden tub in your Master Bathroom. Spacious Living room, Large Eat -In Kitchen with all your appliances including Washer & Dryer. This Home includes central air and a good size shed. Perrysburg Estates is Located in a quaint rural community with the conveniences of the city. 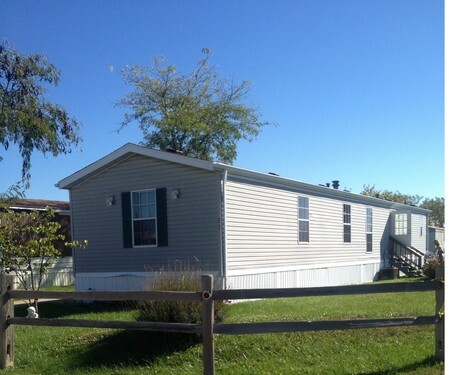 Manufactured home living addresses affordability, privacy and fulfills the American dream of home ownership. Near the CROSSROADS OF AMERICA! we are located just minutes from I-75.